"How to get rid of bed bugs" is a question most people hope they never need to ask. However, considering that the Northeastern U.S. is experiencing a bed bug epidemic, it's a question many home owners and hotel owners suddenly and unexpectedly have to face. 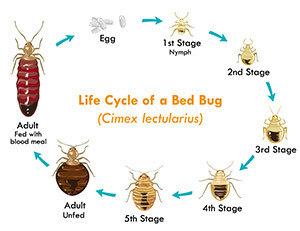 This site is designed to give a quick and informative summary for those experiencing a problem with bed bugs. Bed Bugs: How do you know if you have them? The first thing to understand is, what does a bed bug look like, and how do you know if you have a bed bug problem? Bed bugs are oval in shape and about 1/4 inch in size. They live and feed in beds (thus the name) and also make their home behind baseboards, wallpaper, upholstery, and in furniture crevices. Bed Bug bites are irritating, itchy, and burn. You probably won't feel anything when you're bitten by a bed bug, but later you are likely to have an allergic reaction to the protein found in the bed bug’s saliva. A colorless wheal or lump develops at the bite location. How Do Bed Bugs Breed? A few occasional bites indicate a light infestation. If you're experiencing many bites, there's probably a long standing population of bed bugs. How Did The Bed Bugs Get There? * From a stay in a hotel or dormatory. Don’t buy used mattresses or padded furniture. Keep your suitcases off the floor and covered in plastic when staying in hotels. Use a flashlight to look for bedbugs when traveling. When you return from a trip, place all of your clothes – even those that have not been worn – in the dryer (if your fabric will allow it) on high for 45 minutes to ensure that any bed bugs that may have made it that far are not placed into your drawers/closet. 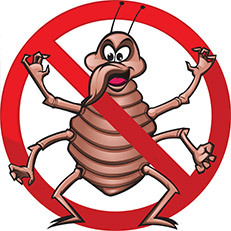 Fortunately, bed bugs can't survive high heat, therefore they can be safely exterminated without the use of chemicals. How high does the heat need to be? The temperature needs to be 113 degrees F for at least 60 minutes or more in order to kill both the bed bugs and their eggs. 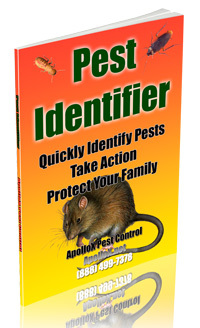 ApolloX Pest Control Has The Skill, Experience and Equipment to Get Rid of Bed Bugs! Do you think you have a bed bug problem? Don't wait until they further multiply. Don't burn your house down trying to get it to the right heat!